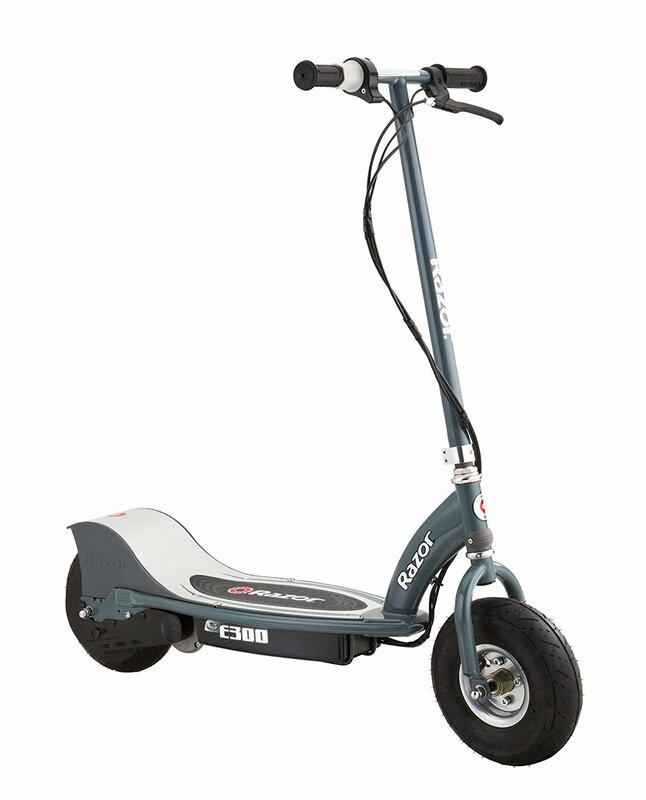 This is the summary of consumer reviews for Razor E300 Electric Scooter. The BoolPool rating for this product is Good, with 3.80 stars, and the price range is $186-$250. 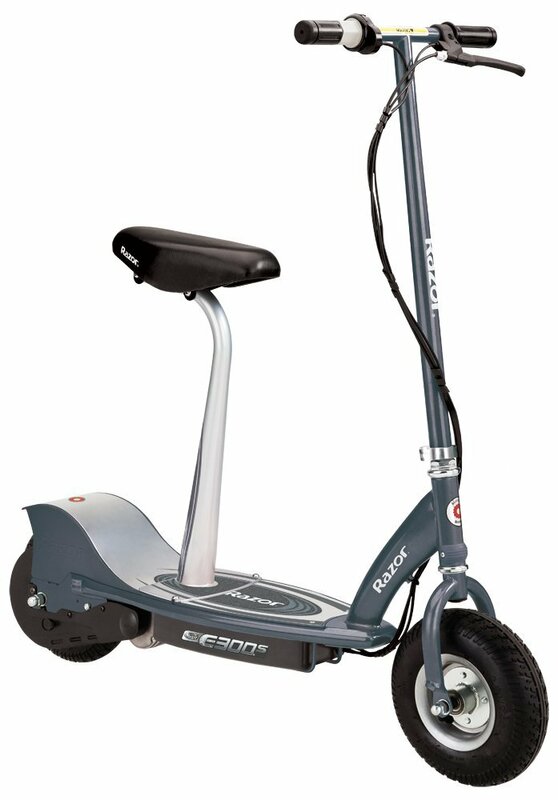 Initially, customers appeared satisfied with the Razor E300 Electric Scooter. This model is powerful and inflatable tires make it fast across flat terrains of all types. 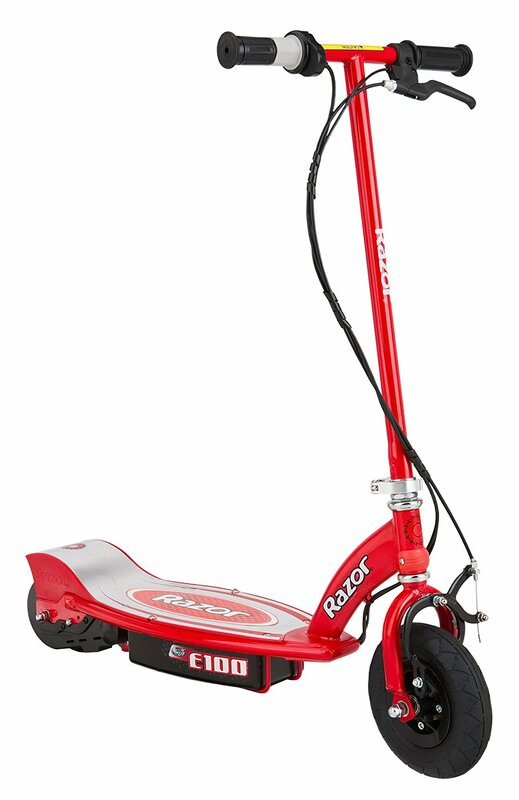 Many parents bought this scooter for their children ranging from 9 and 13 years old, but some noted that the scooter their adult weight up to 220 pounds. Customers were also impressed with the short charge time relative to other models. A full charge may take only 4 to 6 hours. Customers were not happy with delivery. Many noted extensive damage after opening. Most notable was damage to the tire which required a replacement part adding to extra delivery time. Others noted that parts degraded rather quickly. 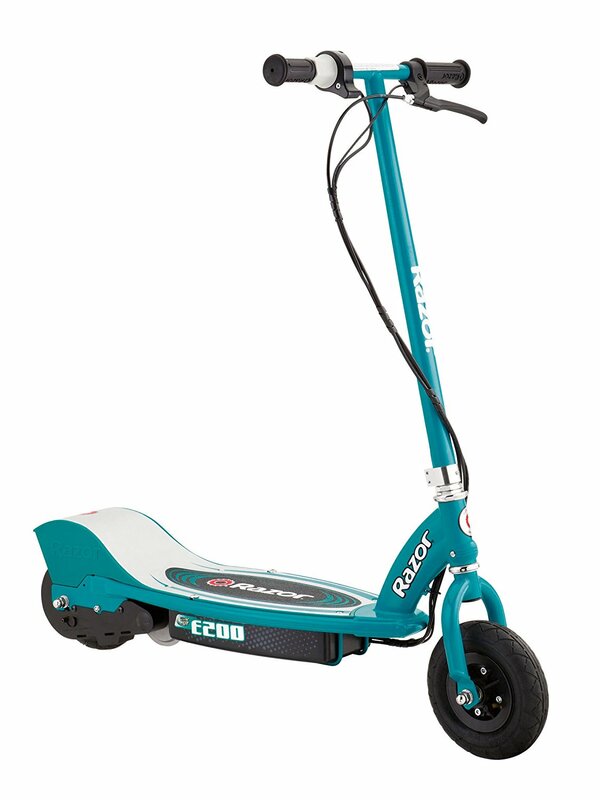 Since the Razor E300 Electric Scooter appears to have a short shelf life, this model may be most suitable for children. 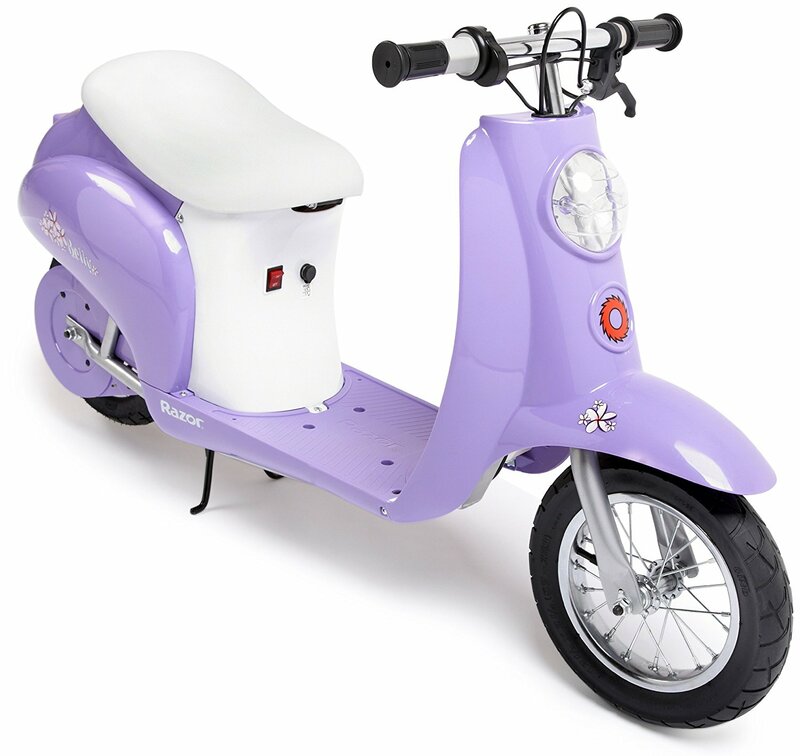 Because it can handle the weight of an adult, children riders are likely to place less wear on the scooter. It took 2 weeks for the first part to arrive and now another 2 weeks for the second part. 1 week riding, 3 weeks waiting on the part to ship. chain broke with in a week. The package was 75% destroyed upon arrival. terrible packaging, arrived totally open and busted with holes in the box.tape strip to hold flaps closed also undone should have straps around it due the the item being so heavy. And hopefully you don't have my luck and the tensioner that holds the chain on breaks. with a under 70 lb. This scooter worked great for a few weeks then it stopped working. This toy is very fun at first. 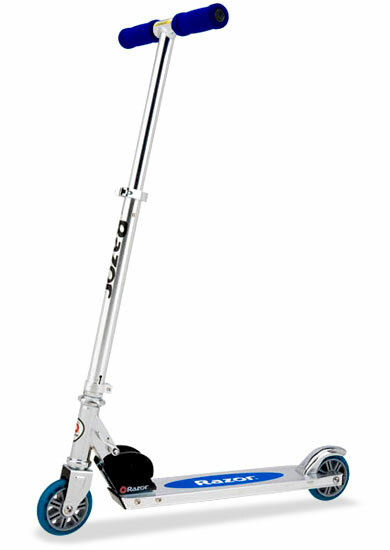 Razor is still the best for scooters in our experience. 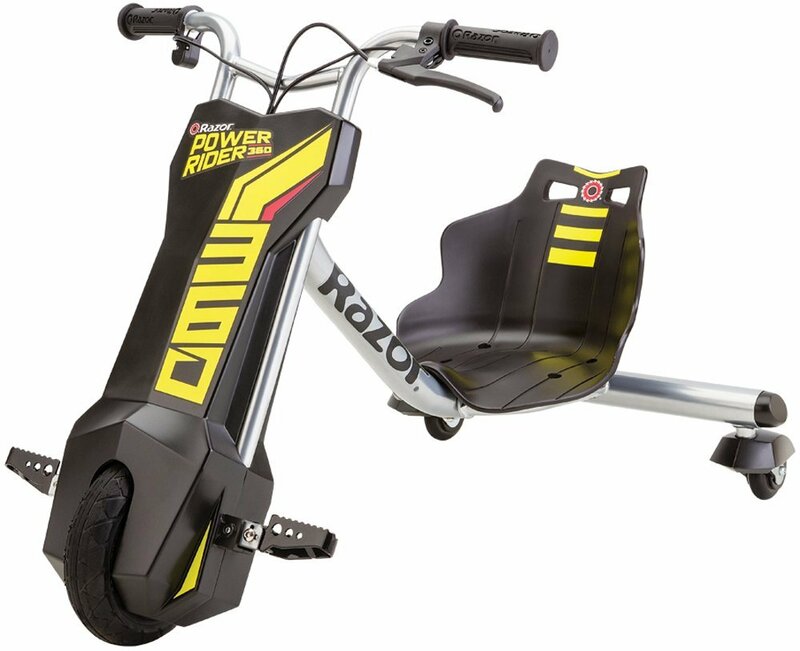 Highly recommend it for any kid with scooter experience and over the age of 10. She saved her money to purchase this and it's been the best investment. Don't purchase this if you wan't to keep it for more than six months. We haven't had it long but so far it's been an awesome experience. I've had similar experiences with other Razor electric scooters as well, so I wouldn't recommend purchasing from this brand. Can't keep the steering tiller tight. My daughter is 12 and absolutely loves it. TIRES: It's very, very difficult to fill the rear tire. Even with the tube valve extender, the rear tire is very difficult to inflate. Got it out of the box but the rear tire is flat and the inner tube valve torn off. It CRITICAL that your rear tire is fully inflated to the recommended pressure. If the rear tire is under inflated,, when torque is applied to the rear wheel, it might start to slip inside the tire. Air filled tires are a plus for handling bumps and minimal assembly was required. Your new scooter may come with under-inflated tires and it needs HUGE WARNING IN RED LETTERS to inform people to inflate rear tire. The tires also had very little air. 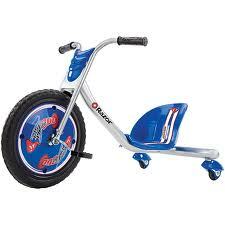 It came with the rear flat tire, the finish on the deck is tarnished and scratched, Glad I opened the box now instead of waiting for my grandson to open on Christmas morning because it'd've been an hours worth of work just to get air in the rear tire before he could ride it. I bought this for my son's 9th birthday. Bought this for our 11 year olds birthday. Works great and has alot of power. My 12 year old bought one with his money & it was so cool I bought one, too! I bought it for my daughter, but I end up using it a lot. However, it isn't powerful on hills and it doesn't hold up well at all. Never run far enough to determine a cruising range though never experienced any power loss. Needs only 4-5 hours of charging for 3-4 mile ride (Bought it last month). We bought this for our 10 year old daughter and she loves riding it! I bought this for my grandson and didn't give it to him. Disappointed that a piece was broken when my son opened it for his birthday. Great scooter my 13 year-old son really enjoys it. 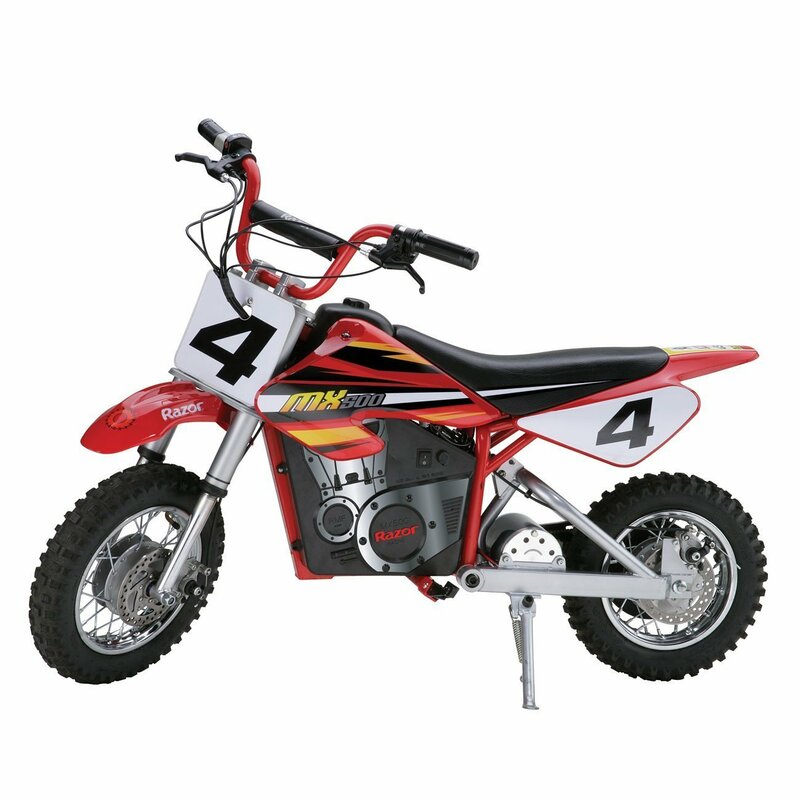 My son rides all the time and it works great. He was able to out speed my son on his regular Razor scooter. Ww got one for our 12 year old sons birthday. I bought this for my special needs son. In the 3 months my son has been using it, a chain kept falling off repeatedly due to a spring breaking already. My son (12) loves it. Kids loved them for Christmas. My daughter (12) loves the scooter and rides it daily for fun. My daughter LOVES this and it works just perfectly. My Grandson age 11 received this scooter for Christmas and he absolutely loves it! Santa brought my daughter the E200 for Christmas and she loved it. Love these - we bought two of them, not only for the kids but us parents think they're pretty fun too! There was no doubt he would love it but the parents could be a problem. Out in the sunshine he goes and I love that! Long charge time at first. Charge time is long, 4 to 6 hours. Quick charging, able to go offroad in the yard or dirt with ease, and the charge holds for a long time - 30+ minutes. Doesn't hold a charge after 3 miles. 12 hour charging time is just unacceptable in today's day and age. After the ride time which is roughly about 60 minutes it'll need a charge. I'm 150 pounds and get about 45 minutes run time maybe 6 - 8 miles round trip. Doesnt work half the time. It's NOT like charging a cellphone with little charges to keep it going. You know, family fun time! - The brakes work well. Thinking a battery cable had worked loose, we uninstalled and reinstalled the battery again. We did successfully replace the battery and it worked great for 1.5 miles. Our battery stopped working slowly with less than a month use. Spends more time broken and not working, Now the batteries seem to have gone after about 6 months of light use. Finally got the replacement battery and it's been working again, but I only have had the new battery a couple week. After months of riding, everything still works and battery seems to have same kick it did when new. Got new batteries and still doesn't work. I'm kind of expecting to have problems with the battery, and at that point I'll just buy a new battery. Fortunately, it's been working well for almost 1 month and my kid is happy.